When was the last time you used a typewriter to produce a document? It was probably a long time ago, if at all. It’s a time consuming, manually intensive activity and lugging around a typewriter isn’t exactly the most convenient thing to do. With word processing applications widely used and available now, it wouldn’t make sense anymore to use archaic technology like the dear old typewriter. There’s another technology which people are still using daily, even though there’s a newer solution available which offers huge increases in efficiencies, can reduce your time and costs and empowers better business decision making. But many businesses out there haven’t yet made the upgrade. A lot of start-ups and small businesses begin their operations keeping track of their stock using good old spreadsheets. Spreadsheets one of those ubiquitous office tools that most people will have some familiarity with and be able to use at a basic level without too much training. But are spreadsheets the right tool to be managing your inventory? Or is it like trying to use a typewriter to manage all your business documents? Inputting data manually, whether it’s on a typewriter or into Excel, is prone to human error. 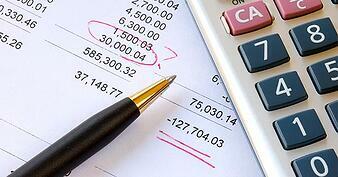 These errors are time-consuming to identify and fix, costing your business time and money. Firstly, there’s the cost of your team finding and fixing the issues. Time that could be better used to process more orders, turn around more stock, and provide a better customer experience by speeding up the total order to pick processing time. Secondly, there's the financial cost of customers receiving a poor customer experience. When you’re dealing with stock, it’s not just looking at numbers on a piece of paper. It’s dealing with real, physical product that you either do or don’t have in your warehouse. Could there be anything worse for your customers than ordering an item they’ve been told is in stock, only to find out later that, due to an error, they’ll need to wait for another resupply? These kinds of mistakes cause customers to lose trust in your company, look elsewhere for their product supply, and reduce your overall customer retention. Reducing or eliminating manual entry errors can be managed by implementing an inventory management system with solid pick, pack, ship and receipting processes. Using regular or randomised spot checks will also provide a fast and simple way to confirm the accuracy of your inventory data. 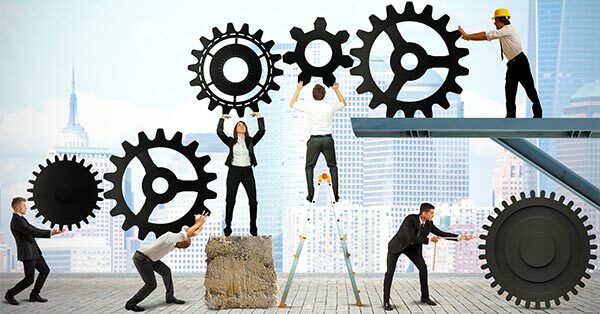 By reducing manual input, improving processes, and doing the spot checks, you’ll reduce the chance of errors that can cost your business time and effort, and affect the customer experience. "By reducing manual input, improving processes, and doing the spot checks, you’ll reduce the chance of errors that can cost your business time and effort, and affect the customer experience." Most people have a basic understanding of how spreadsheets work, so they can be quick to pick up and use at a basic level. But as soon as inventory and lead-time calculations come into the mix, there's a deeper understanding of complex formulas needed. And when staff start guessing which formulas and functions will provide the right calculations, it can put your inventory data into question. There's also a need for spreadsheet templates to be set up if they're to be re-used – whether for separate warehouse locations, branches or for separating different reporting periods into different spreadsheet files. Without the right templates in place, you can run the risk of formulas changing or being lost between separate spreadsheets. Taking a shortcut by using spreadsheets to manage inventory can lead to a long journey in the end. Especially when you want to get everyone using your spreadsheets the same way, with the same formulas and following the same processes. What initially seems like an easy tool for recording inventory information can end up taking significant time, which in the end, is a cost to your business. Data integrity is crucial for every business but it can be affected easily. Often, companies that use spreadsheets to manage inventory keep those documents saved on local desktops or laptops. After individuals make updates to the documents, they can be emailed or put on a USB drive and transferred from one computer to the other. This is a major cause of splintered data. Splintered data happens when multiple people work on multiple copies of the same document, making their own changes along the way. Who's changes are the most accurate? Which changes are the most up-to-date? Trying to remember who performed the last update and checking which document version is truly accurate can get complicated quickly and start causing data chaos. Cloud-based inventory management systems allow your employees to work from the one, central source of truth and see everyone’s updates and changes in real-time. There’s no confusion about what is or isn’t accurate or which data is the most recent. Everyone works from one data set, which is always up to date. Using inventory management software also removes any confusion about who has made a change to an inventory record. Every action made is automatically tracked. Full reporting is available on every field of data that’s changed, letting you see who made each update and when. "Splintered data happens when multiple people work on multiple copies of the same document, making their own changes along the way. Who's changes are the most accurate? Which changes are the most up-to-date?" No matter how many spreadsheet formulas you get the hang of, you still won’t be able to receive automatic stock level alerts in real-time, set automate re-ordering points or see intelligent stock forecasting information. That’s because spreadsheets simply weren’t designed for these types of advanced inventory management functions. This is where inventory management software gives you so much more. 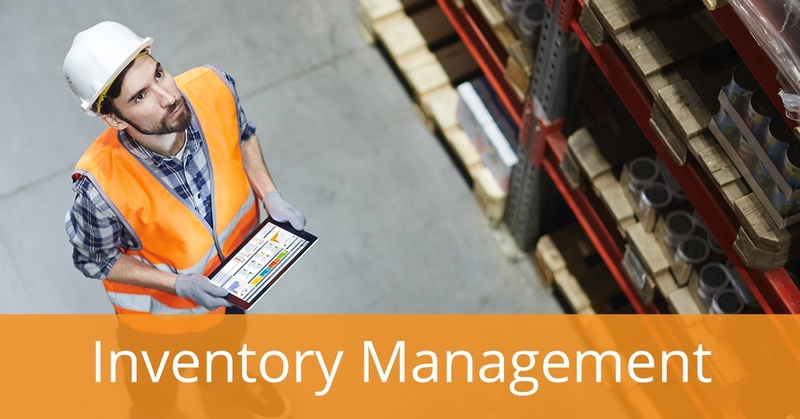 Using a cloud based inventory management system, you’ll be able to leverage intelligent alerts and automation, and have real-time KPIs and dashboards to provide concise snapshots of your warehouse and inventory position. You can set up automatic re-order points based on your desired stock levels to ensure you’re never short of stock. You can get intelligent data on inventory demand fluctuations and trend reporting that will help you plan your stock purchasing better and reduce wastage. And by matching your purchasing to demand, you’ll reduce the amount of stock obsolescence and write-offs due to slow moving and unsellable stock. Having the right tools to manage your inventory more effectively can mean the difference between being highly profitable or struggling with cashflow. 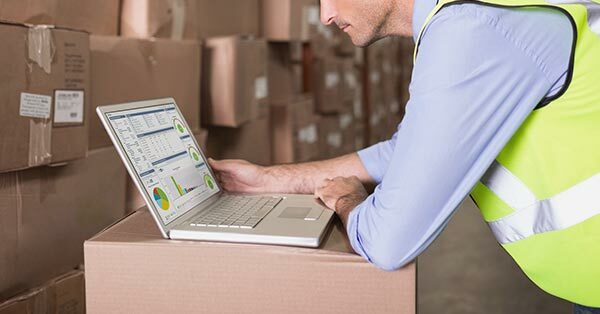 Making an investment in inventory management software that’s designed to reduce manual input, provide the business intelligence you need to make better decisions and increase your overall profitability can pay off sooner than you think. So, is it time to retire the typewriter and invest in the latest technology to continue building your business successfully? If you’ve recognised the difficulties of using spreadsheets, why not organise a tailored demo of cloud ERP software with strong inventory management functionality. Take the next step towards helping your business streamline processes, make better business decisions that are based on real-time data, and grow faster. If you’re after more ideas on how to reduce your operational costs, manage your warehouse more efficiently and increase your profit, also check out our eBook – The Ultimate Guide to Inventory Management.